In Daniel 11:40-44– a Prophecy shows the resurgence of an end-time power from the Middle East called the King of the South. This King will provoke another power called the King of the North. The King of the North will retaliate by invading several Middle Eastern nations and establishing his headquarters in “the Glorious Land”—which is, the State of Israel. We believe history reveals to us that the King of the North is a European Dictator (to yet emerge)—the King of the South will be an Islamic leader. This event is pivotal– the most dangerous geopolitical “match” of all that is foretold in the Bible because it triggers a movement of powers into the Middle East from Europe, Eastern Europe, South Asia and Asia. We do not believe ISIS to be this power of the King of the South—but its rise in numbers and strength demonstrates how quickly an “Islamic caliphate” can emerge on the world stage. What is of particular interest is just how many foreigners are joining ISIS—some of the most violent fighters within the ranks of ISIS are the European jihadists! These foreign members of ISIS are extremely fanatical: Notice that 2,000 of these jihadists are from Europe. Nearly 1.5 billion Muslims eagerly anticipate the return of the Mahdi—the believed to be future Islamic “savior”. While Christians await the return of Jesus Christ to rule over the nations and establish the Kingdom of God on earth, Muslims await the appearance of the Mahdi to establish the caliphate—(Islamic empire) that will rule the nations. The coming of the Mahdi is an established doctrine for both Sunni and Shi’a Muslims (though there is a small number of Sunnis who reject his future appearance). As we study end-time prophecy it is important to appreciate what God tells us will actually take place in the Middle East. The Mahdi is a false savior—a great deception, a hope that will disappoint; yet the Bible does speak about a charismatic Islamic leader who will inspire millions…could scripture reference such a man? This may be the case. There is a strong end-time leader, whom Daniel the prophet calls “the king of the South” (successor to the ancient Greek rulers of Egypt), who will rise up and provoke a Middle East war. This Islamic figure will attack or “push” at a dictator the Bible refers to as “the king of the North” (successor to the ancient Greek rulers of Syria). We believe this dictator from the “North” is a European leader who will then advance into the Middle East with lightning speed, overthrowing many nations (Daniel 11:40-44), attacking this King of the south (possible Mahdi). And at the time of the end shall the king of the south (Islamic leader) push at him: and the king of the north (European tyrant) shall come against him (Islamic leader) like a whirlwind, with chariots, and with horsemen, and with many ships; and he (European dictator) shall enter into the countries, and shall overflow and pass over. He shall enter also into the glorious land, and many countries shall be overthrown: but these shall escape out of his hand, even Edom, and Moab, and the chief of the children of Ammon. He (European Dictator) shall stretch forth his hand also upon the countries: and the land of Egypt shall not escape. But he shall have power over the treasures of gold and of silver, and over all the precious things of Egypt: and the Libyans and the Ethiopians shall be at his steps. This King of the South may possibly be looked upon by many in the Islamic world, as a type of Mahdi or Savior—a Caliph who promises to establish the Islamic Empire! History tells us that various Islamic saviors have stirred up the Muslim world in the past. 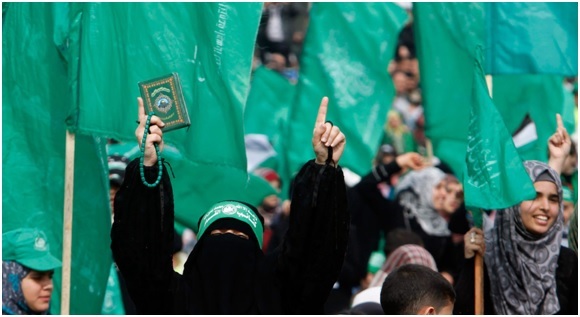 Over the span of nearly 1400 years of Islamic history, uprising (intifadas) have been led by self-proclaimed mahdis. One movement of particular note took place in the later 1800s. In 1881, Muhammad Ahmad in Sudan proclaimed himself the Mahdi and launched a jihad against the country’s rulers—Egyptian forces commanded by British officers. Convinced of his own appointment as Mahdi by a series of dreams and visions, Muhammad Ahmad led his followers to conquer Khartoum and defeat the Turkish and Egyptian forces under the command of a British general, Charles “Chinese” Gordon. Muhammad Ahmad’s caliphate lasted until the Sudan was retaken in 1898 by British forces. A movie was made abut this self-proclaimed Mahdi. Khartoum is a 1966 film starring Charlton Heston as British General Gordon, Laurence Oliver plays the Mahdi. It is based upon the defense of the Sudanese city of Kartoum, which was attacked by the Mahdi army—it is worth viewing. It will give you a sense of the reverence given to Muslim leaders. As recently as 1979, a Mahdist movement attempted to overthrow the Saudi ruling family. Juhayman al-‘Utaybi and several hundred of his followers seized the Great Mosque in Mecca and occupied it for nearly two weeks, until they were forced out by Saudi security forces. The surviving attackers were executed. The militants called for severing of relations with the West; overthrowing the Saudi royal family and redistributing its wealth to the poor; and expelling all foreigners from Arabia. • He will be a descendant of Muhammad and will bear Muhammad’s name (Muhammad bin Abdullah). • He will make a seven-year peace treaty with a Jew of priestly lineage (Levite). • He will conquer Israel for Islam and lead the “faithful Muslims” in a final slaughter/battle against Jews. • The Mahdi and the Muslim Jesus will kill as many Jews as possible, until only a small number of Jews are left hiding behind rocks and trees. • The Mahdi and the Muslim Jesus will use the practice of beheading for executions. • Be extremely generous and altruistic to those who embrace Islam. • He will establish the new Islamic world headquarters from Jerusalem. • He will rule for seven years (possibly as much as eight or nine). • He will cause Islam to be the only religion practiced on the earth. • He will appear riding a white horse (possibly symbolic). • He will discover some previously undiscovered biblical manuscripts that he will use to argue with the Jews and cause some Jews to convert to Islam. • Jesus Christ (called ‘Isa in Arabic). According to Islamic tradition Jesus will be in the midst of wars fought by al-Mahdi. Jesus will descend dressed in yellow robes—his head anointed. He will say prayer behind al-Mahdi then join him in his war against the Dajjal (antichrist). He will worship Allah, and teach unbelievers about Muhammad. This is obviously a counterfeit Jesus—the real Jesus Christ will abolish manmade religions such as Islam. All nations, including Arab nations, will be required to send representatives to Jerusalem to worship the real Jesus Christ as King of Kings (Zechariah 14:16-19). Those nations who do not worship Christ will experience national drought. 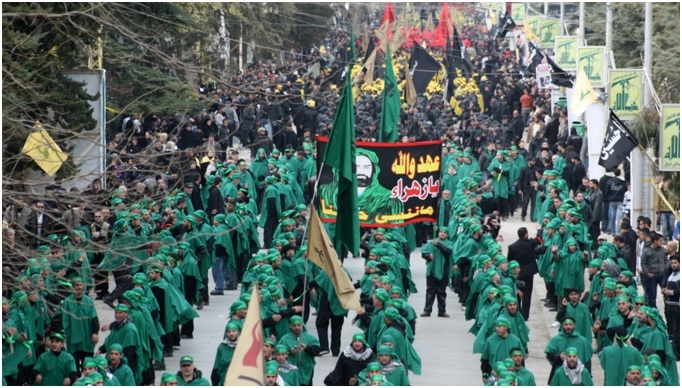 Shiites, whose clerics rule Iran with an iron fist traditionally believe that the “12th Imam” (Mahdi), born in 868 A.D., was placed by God into hiding (known as occultation) until the day of judgment. According to the traditions the twelfth of these Imams, a boy of five years old, disappeared under mysterious and disputed circumstances in the year 874 –this mysterious figure encouraged his followers with prophecies regarding his eventual reappearance. The Doctrine of Occultation is simply the belief that God hid Muhammad al-Mahdi away from the eyes of men in order to preserve his life. God has miraculously kept him alive since the day he was hidden in 874 AD — eventually God will reveal al-Mahdi to the world and he will return to instruct all men… The Shi’ites began to teach that the Twelfth Imam would return at a time when the Muslims were oppressed as never before, and suffering worse than ever. Many believe he will appear very soon. The Imam, in the company of Jesus (re-imagined, as in Sunni Islam, as a Muslim prophet), would finally end the horrific persecution of the true believers, taking up arms against their enemies and conquering and Islamizing the world. Shi’ite tradition requires that the earth be “filled with tyranny and violence” before the Twelfth Imam can return. You can see how it will require the return of Jesus Christ to chastise the nations of the world to bring about world peace. Islamic nations will come to see there is no Islamic savior. Jesus Christ is the only true savior. Zechariah 14 tells us more details of where Christ will defeat the armies of this world—that will include millions of Islamic soldiers. “Behold, the day of the Lord is coming, and your spoil will be divided in your midst. For I will gather all the nations to battle against Jerusalem… Then the L ord will go forth and fight against those nations, as He fights in the day of battle” (verses 1-3). The Prophet Joel indicates the specific location within Jerusalem. Notice: “I will also gather all nations, and bring them down to the Valley of Jehoshaphat; and I will enter into judgment with them there on account of My people, My heritage Israel, whom they have scattered among the nations; they have also divided up My land” (Joel 3:2). So it is in Jerusalem that the battle of the great day of God Almighty is fought. The steep valley that is today called Kidron, between the Old City of Jerusalem and the Mount of Olives, will be the battle location. Christ will descend with a spirit army and tread the winepress of His wrath (Revelation 19). Revelation 14:20 reveals the blood from the fighting will run several feet deep. This great battle will usher in the Kingdom of God. Only then, after a terrible war, will the nations of the world begin to yield to the leadership of Jesus Christ! All false religion, including Islam will be eradicated from the earth. History has a way of repeating itself, or as Mark Twain astutely observed—History rhymes. Hamas’s war with Israel has ancient roots, roots that go back well over 3,000 years. Understand that the ongoing hostility is happening in the context of old wounds and unrelenting hatreds. There are prophecies found in the books of the prophets that tell us the descendants of Edom, the Philistines, and Amalek make trouble for Israel right up to the Last Days. I believe many of the Palestinians in Israel today are the latter day descendants of Edom, Amalek and the Philistines. These people often intermarried with one another and with the Ishmaelites (much of the Arab world is descended from Abraham’s son Ishmael). The Bible traces the roots of this vicious blood feud between Israel and the Palestinians to the days of the Patriarchs. Two great sibling rivalries of the past impact us to this day—one between Abraham’s sons Ishmael and Isaac (see Genesis 16–17; 21) and the other between Isaac’s sons Esau and Jacob (see Genesis 25; 27–28). Ishmael was the father of many of the Arabs while from Isaac, through Jacob, came the Israelite tribes. Isaac remember, had twin sons, Jacob and Esau, by his wife Rebekah. Amazingly, before they were born, “the children struggled together within her” (Genesis 25:22). God pronounced: “Two nations are in your womb, two peoples shall be separated from your body; one people shall be stronger than the other, and the older shall serve the younger” (verse 23). Both brothers were to become powerful nations—nations are often, simply families that have grown large. Jacob and Esau were very different from each other in their personality and interests. And as is sometimes the case, each parent had a “favorite”. Esau was “a skillful hunter, a man of the field.”—Jacob was a mild man, a man who chose to stay near home “dwelling in tents”. Tensions escalated when Esau sold his birthright to Jacob for a bowl of lentil stew (verse 33), showing he viewed the birthright as a small thing. In the process of time Jacob deceived his father into giving him the birthright blessing (chapter 27). Esau believed the blessing was stolen from him– “Esau hated Jacob” (verse 41). This hatred and jealousy of Esau continued through the centuries and still exists as you read this. The descendants of Esau (often called Edom, Genesis 25:30) intermarried with Ishmael’s descendants (consisting of many of the Arab people today). Of special note is Esau’s grandson Amalek (Genesis 36:12) being the father of the Amalekites, who became Israel’s great enemy. A prophecy about Amalek foretold endless war between Israel and Amalek “from generation to generation” (Exodus 17:16). Certain Rabbis and scholars believe that many of today’s Palestinians are largely the descendants of the Amalekites (Amalek, being a grandson of Esau: Genesis 36:12). Remember it was Edom (Esau) who refused to allow Israel free passage to the Holy Land (Numbers 20:14-21); Saul had to deal with Edomite and Amalekite aggression (1 Samuel 14:47; chapter 15), David conquers them (2 Samuel 8:14), so did Jehoshophat (2 Chronicles 20), and Ahaz (2 Chronicles 28:17). Malachi reveals the hostility was very much present in his day (Malachi 1:2-5). Once ancient Israel and Judah both had gone into captivity (punished for their egregious sins), Edomites quickly moved in to take possession of the Holy Land. This is Edom’s ambition in the end time—to seize control of the Holy Land. We believe that the Edomites are scattered and located in Jordan, Gaza, Israel, Southern Turkey, Syria and Lebanon. They are a violent people who cause trouble wherever they are. Isn’t it interesting that the end-time prophecy recorded in Psalm 83 speaks of the “tents of Edom”—this would include the Palestinian “refugee” population scattered throughout the Middle East. Also, Amalek—the grandson of Esau is mixed in among the Middle East nations as well. Psalm 83:12 declares that the Arab/Edomite union wants to destroy Israel in order to take over the Promised Land—notice the prophecy clearly mentions Edom and Amalek (Psalm 83:6-8). History books and encyclopedias have lost track of the Edomites. The Jewish Historian Josephus tells us that when the Romans conquered Jerusalem and destroyed the second Jewish temple in AD 70, they also fought against the Idumeans (Edomites). About 40,000 remaining Idumeans/Edomites survived the war and were freed by Caesar to go wherever they desired enabling them to keep residence in the area of the Holy Land. End time prophecy tells us that because the descendants of Edom were continually attacking Israel (motivated by jealousy and hatred), they themselves will suffer violence and humiliation. The first judgment of Edom occurs when “the day of the LORD upon all the nations is near.” (Obadiah 1:15) This same verse also declares: “As you [Edomites] have done– it shall be done to you”. This will be a reminder that God will deal with Esau (Edom & Amalek) because of the ongoing violence committed against Jacob’s descendants—especially the Jews. The Edomites and their Psalm 83 cabal will seek to destroy Israel militarily, but they will not succeed. The coming execution of God’s vengeance against the Palestinians (many who are Edomite), is recorded in Obadiah 1:18– The house of Jacob shall be a fire, and the house of Joseph a flame, and the house of Esau stubble; they shall burn them and consume them, and there shall be no survivor for the house of Esau, for the LORD has spoken. Anciently the Philistines occupied the southern coast of Canaan, controlling five major cities, including Gaza, Askelon and Ashdod. It is from the Philistines that the term Palestine is derived. Geographically this would essentially describe the Palestinian territory known as the Gaza Strip. They will be punished for their ongoing hostility against Israel. We believe many of the “Palestinians in Gaza, including Hamas, are modern day descendants of the Philistines. Notice Ezekiel 25:15-17: This is what the Sovereign LORD says: ‘Because the Philistines acted in vengeance and took revenge with malice in their hearts, and with ancient hostility sought to destroy Judah, Behold, I will stretch out My hand against the Philistines, even cut off the Cherethites and destroy the remnant of the seacoast. I will execute great vengeance on them with wrathful rebukes; and they will know that I am the LORD when I lay My vengeance on them. These prophecies were often anciently fulfilled, but end-time fulfillments are yet ahead of us. And the seventh angel sounded; and there were great voices in heaven, saying, The kingdoms of this world are become the kingdoms of our Lord, and of his Christ; and he shall reign for ever and ever. Revelation 11:15.